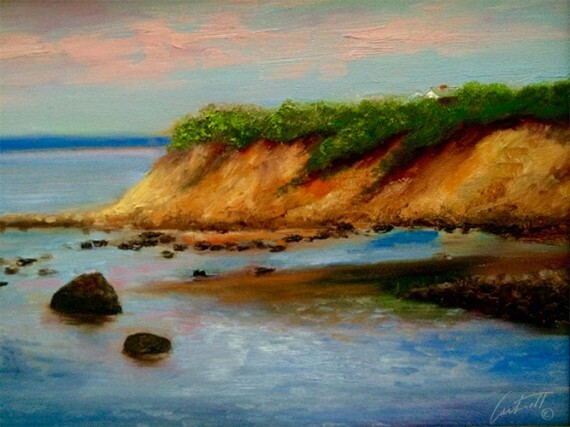 This is a late afternoon study I did of Manomet Point. I went up to “The Lobster Pound”, and noticed a warm afternoon glow, on the cliff to my right. There was a warm pink glow in the sky, that bathed everything it touched in a beautiful veil of color. I made some sketches on the spot along with some notes, and made this painting as soon as I returned to the studio. Part of the joy of my living in Plymouth, was an endless source of coastal subjects.